Residents of a Milwaukee suburb where the winning ticket for the estimated $768 million Powerball jackpot was sold say they're happy the winner could be from their community. New Berlin resident Jacqueline Walderyera said at a cafe Thursday that it's "completely awesome" the ticket was sold in her city and that the news coincides with the opening day of the Milwaukee Brewers. Keith Schroeder joked that he felt "like a total loser" because he bought three tickets, but he's happy that the person could be from the area. The winner has not yet been identified. The person has 180 days to come forward. Wisconsin Lottery officials are identifying the retailer that sold the winning ticket in Wednesday's $768 million Powerball drawing. Lottery Director Cindy Polzin told reporters at a news conference Thursday that a Speedway gas station in New Berlin in suburban Milwaukee sold the winning ticket. The station will receive $100,000 for selling the ticket. Polzin says the winner hasn't been identified. The person has 180 days to come forward. 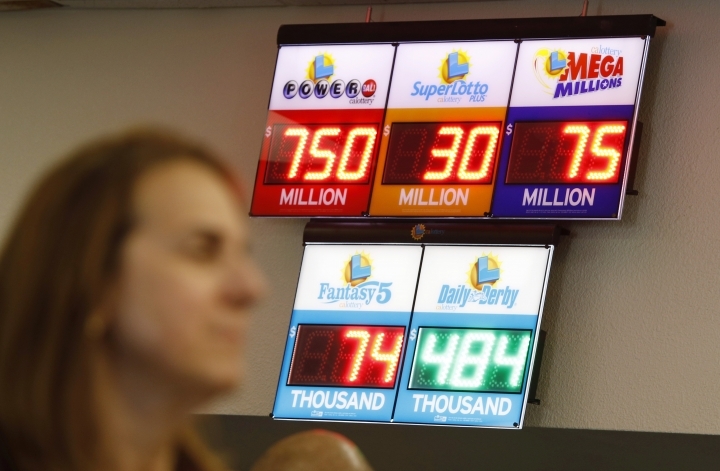 If the winner opts for a cash payout instead of annuities, the prize is worth $477 million. Annuities would be paid out over 29 years. Wisconsin Revenue Secretary Peter Barca says if the winner takes the cash option, the state would receive $38 million in tax revenue. He wasn't sure how much tax revenue the state would collect each year if the winner takes annuities. 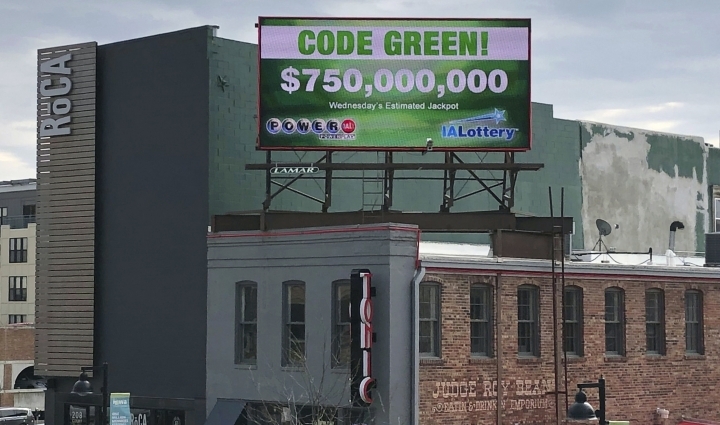 Wisconsin Lottery officials say the winner or winners of the nation's third-largest lottery jackpot have not yet come forward. 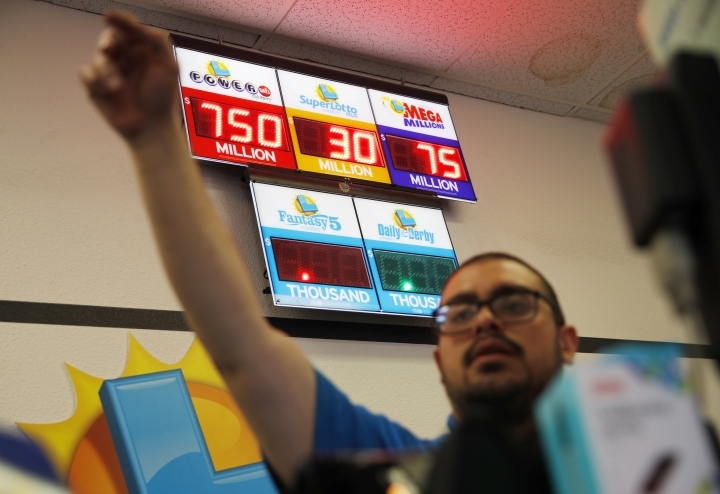 The winning ticket in Wednesday's $768 million Powerball ticket was sold in suburban Milwaukee. Wisconsin lottery officials have scheduled an 11 a.m. news conference, but say they haven't yet heard from the winner. State law gives the ticket holder 180 days to step forward. By law, the winner or winners must be publicly identified. Lottery officials say the retailer that sold the ticket is in New Berlin. The retailer hasn't yet been identified but will get a $100,000 payout for selling the winning ticket. The Wisconsin Lottery has scheduled a news conference to talk about the $768 million Powerball ticket sold in suburban Milwaukee. Lottery officials did not say if the winner or winners would be present at the 11 a.m. news conference Thursday. Under state law, the winner or winners can't remain anonymous but have 180 days to claim the winnings. The jackpot is the third-largest jackpot in U.S. history. The win is Wisconsin's 17th Powerball jackpot since 1988. The winning ticket was sold in New Berlin, a city about 14 miles (22.5 kilometers) southwest of Milwaukee. The retailer that sold the ticket has not been identified but will receive a $100,000 payout. The Wisconsin winner of a $768 million Powerball jackpot won't be able to remain anonymous. The winning ticket in Wednesday night's drawing was sold in the Milwaukee suburb of New Berlin. 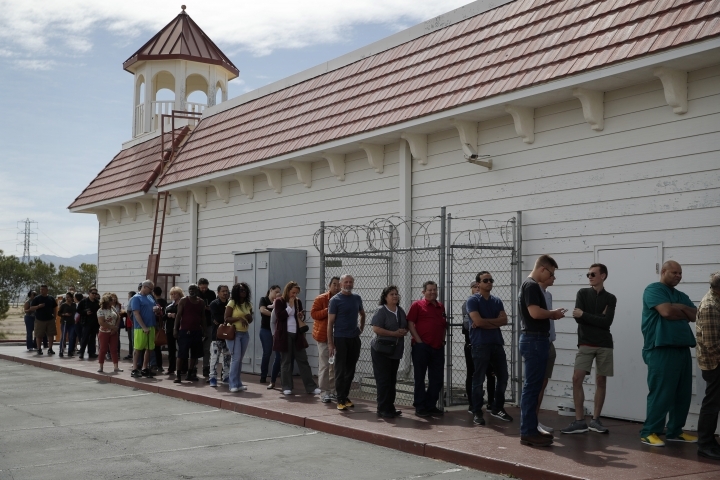 The jackpot is the third-largest pot in U.S. lottery history. Wisconsin requires winners to be publicly identified, meaning whoever purchased the winning ticket can't remain anonymous. The winner or winners have 180 days to claim the prize. State law also requires the Wisconsin Lottery to issue a prize to one player. If multiple people have pooled their money to purchase tickets, they can get a court order to tell the lottery how to divide the winnings. 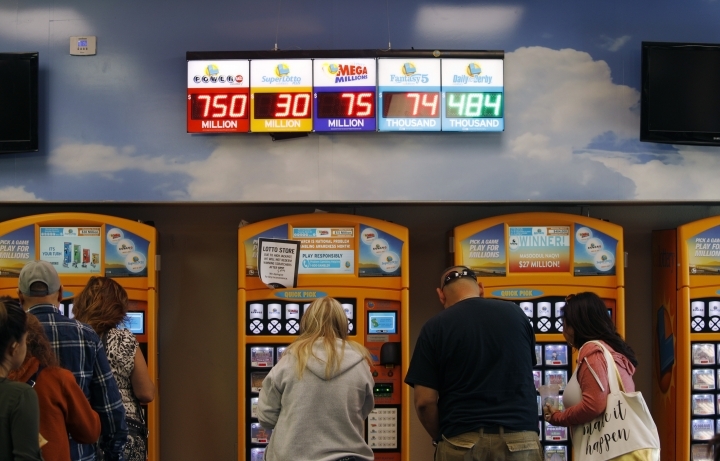 The jackpot cash option is worth an estimated $477 million. The Wisconsin Lottery says a single ticket that matched all six Powerball numbers to win the third-largest jackpot in U.S. lottery history was sold in a Milwaukee suburb. The ticket worth an estimated $768.4 million, or a cash option of $477 million, was sold in New Berlin. The city of about 40,000 people is roughly 14 miles (22.5 kilometers) southwest of Milwaukee. Lottery officials didn't immediately identify the retailer that sold the ticket for Wednesday night's drawing. 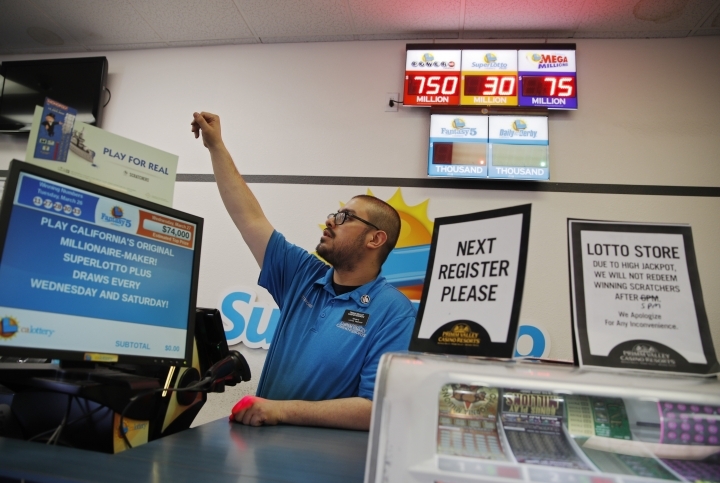 The retailer will receive a $100,000 payout for selling the winning ticket. The win comes almost exactly two years after Wisconsin hit its last Powerball jackpot, when a Milwaukee resident won $156.2 million on March 22, 2017. The winning numbers are 16, 20, 37, 44 and 62. The Powerball number is 12. Powerball lists the odds for winning the grand prize as 1 in 292,201,338.